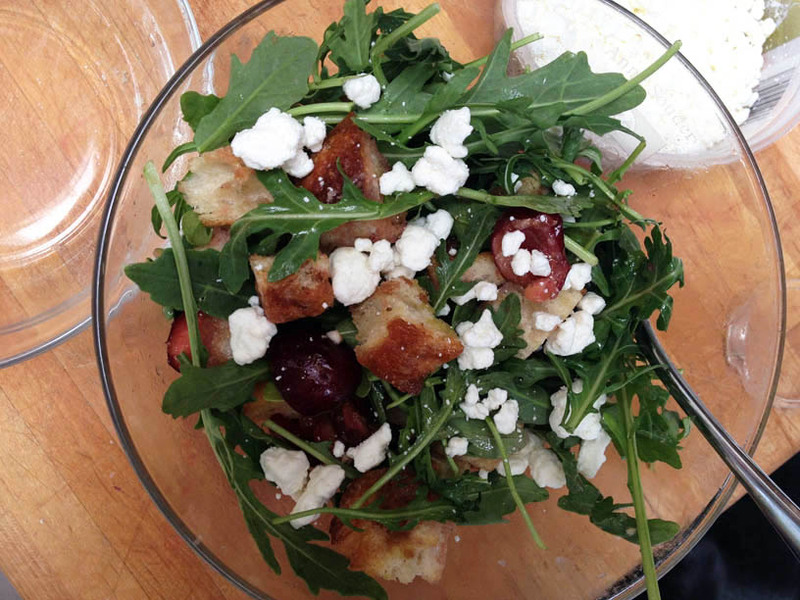 This bread salad with cherries, arugula and goat cheese is perfect for July, when cherries are beautiful, abundant, and for today, a deal. 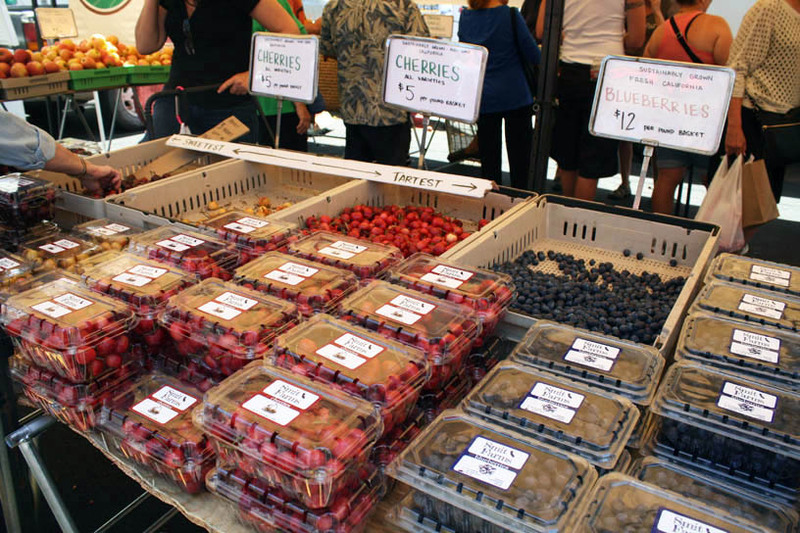 A few weeks ago, at the Little Italy Mercado, I splurged on three containers of colorful cherries–some dark and sweet, others white and tart. Tom and I enjoyed them for days: in cocktails, a cherry-almond galette, and a not-so-great clafoutis. And while he worked, I made this salad for myself two days in a row. Preheat the oven to 400 degrees. Trim the crust from the bread, if desired, and then tear bread into rough bite-sized pieces, about 4 cups worth. Spread on baking sheet and drizzle with olive oil, then toss to coat. Bake until crispy and golden in spots, shaking the pan once, 8 to 10 minutes. 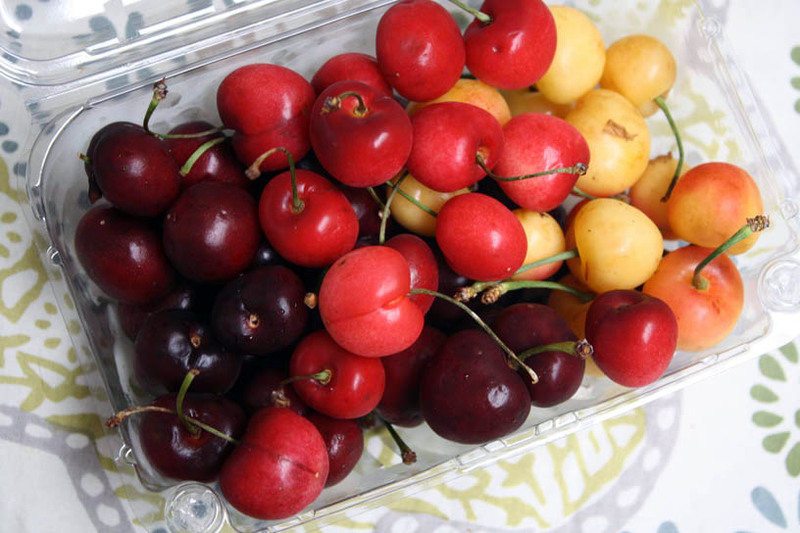 Meanwhile, put about one-third of the cherries in a small bowl, and crush lightly with a fork, so that they release juices. You don’t want to mash them completely; just smash them a bit. 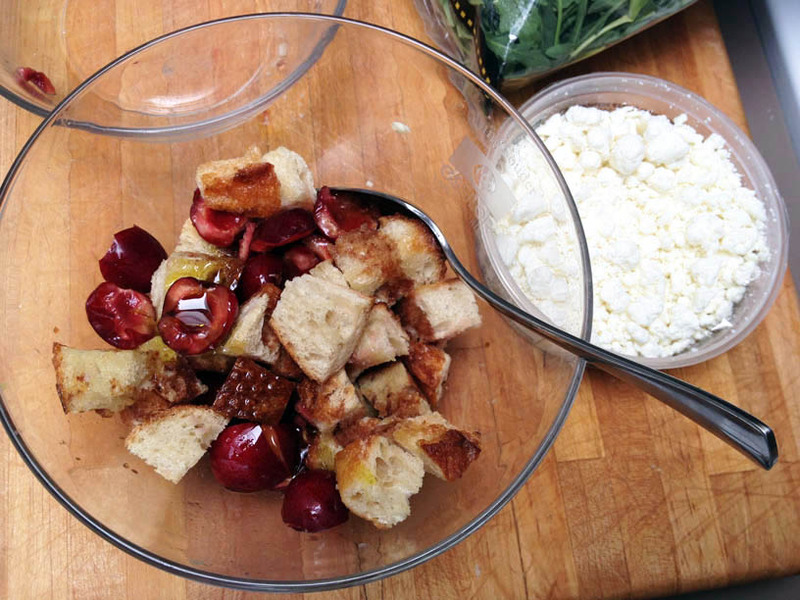 When the bread is toasted, turn it into a large bowl, add garlic, and toss well. Set aside to cool for a minute. 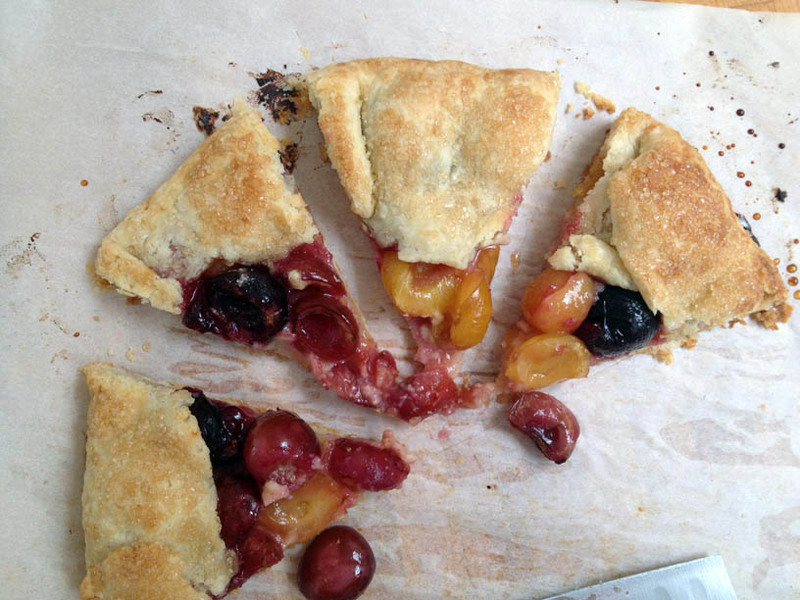 Add the cherries, both the smashed and not-smashed ones, and toss. Add 2 teaspoons balsamic vinegar and toss again. Add 1 tablespoon olive oil and a pinch of salt and toss again. Taste, adjust flavors. 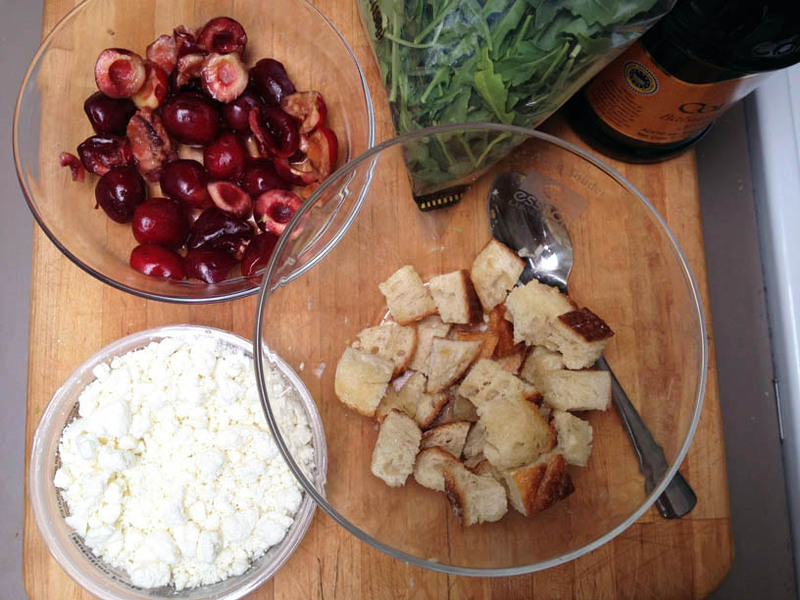 If you taste the bread and cherries separately, they each should taste good alone. Add 2 handfuls of arugula and toss one last time. Finish with a generous amount of goat cheese and a few grinds of pepper.